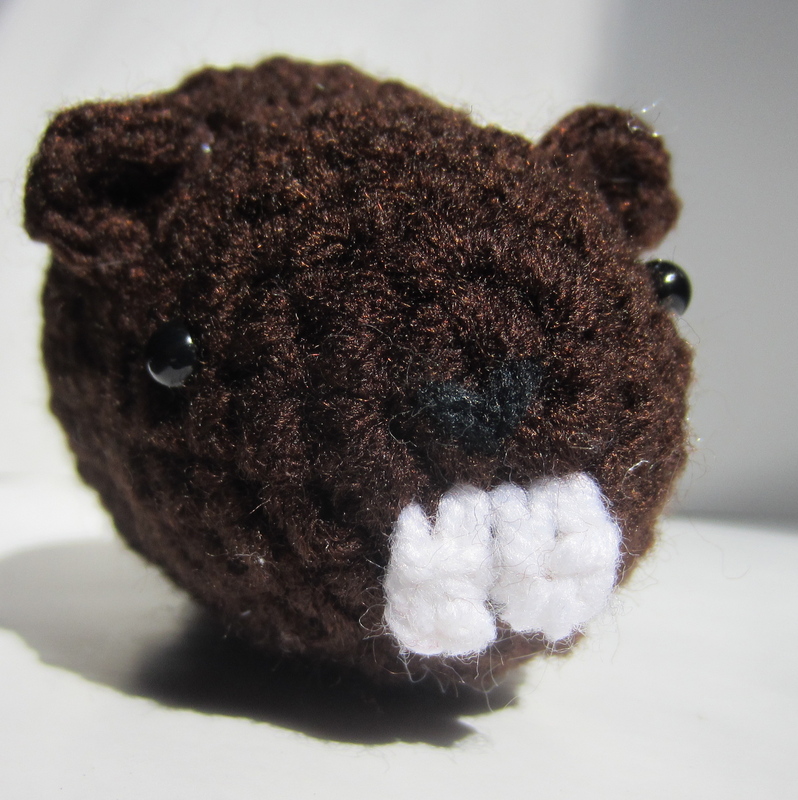 Well, I am Canadian, so it was only a matter of time before I tried making a beaver. Just like a real beaver, this one looks slightly terrifying up close (but only slightly.) 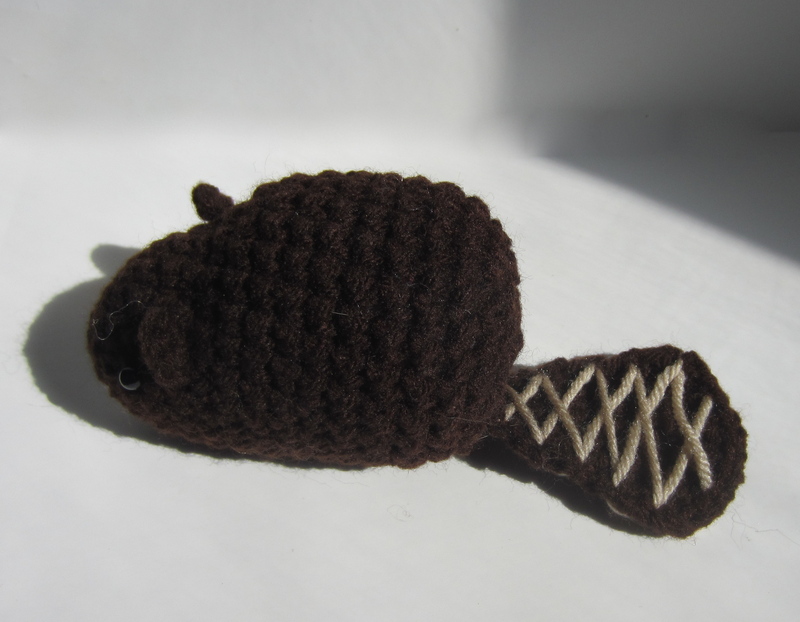 I think I made the teeth too big, perhaps I should use a thinner white yarn on a smaller hook. Rest assured, he looks much cuter in person. 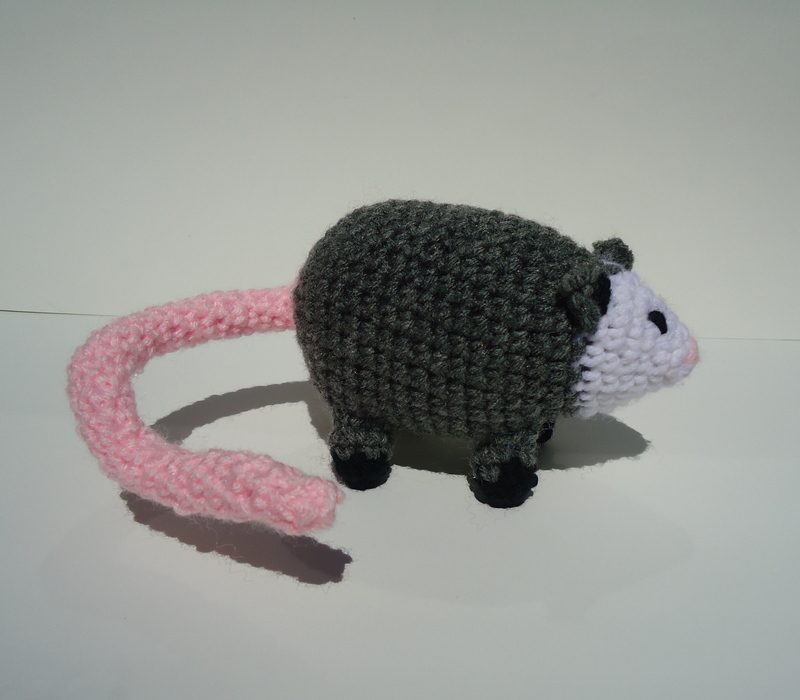 I’m also not sure that I’m in love with the criss-cross pattern on his tail, but the tail needed a little something extra. 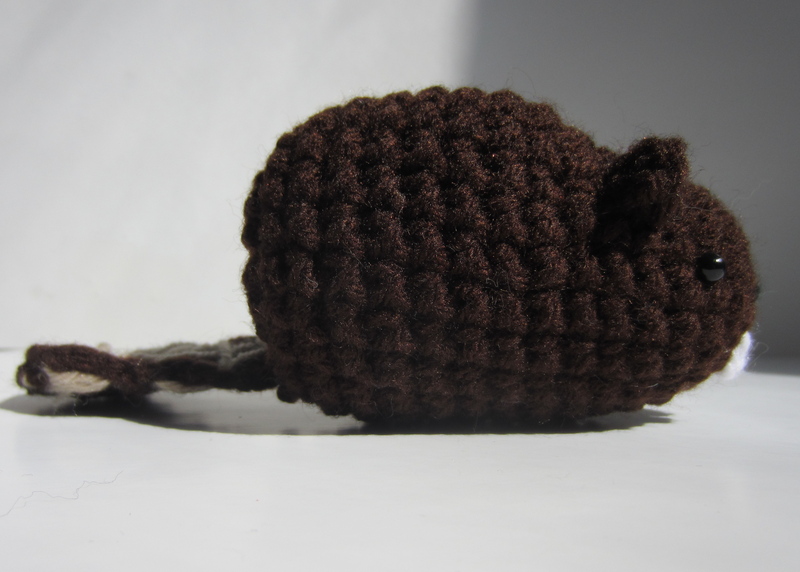 Also, I’m not sure I remember how I made the tail, it took a lot of experimenting, ripping out stitches, and reworking before I got to this shape. As the weather warms up I’ll get better photos out in some real sunlight. 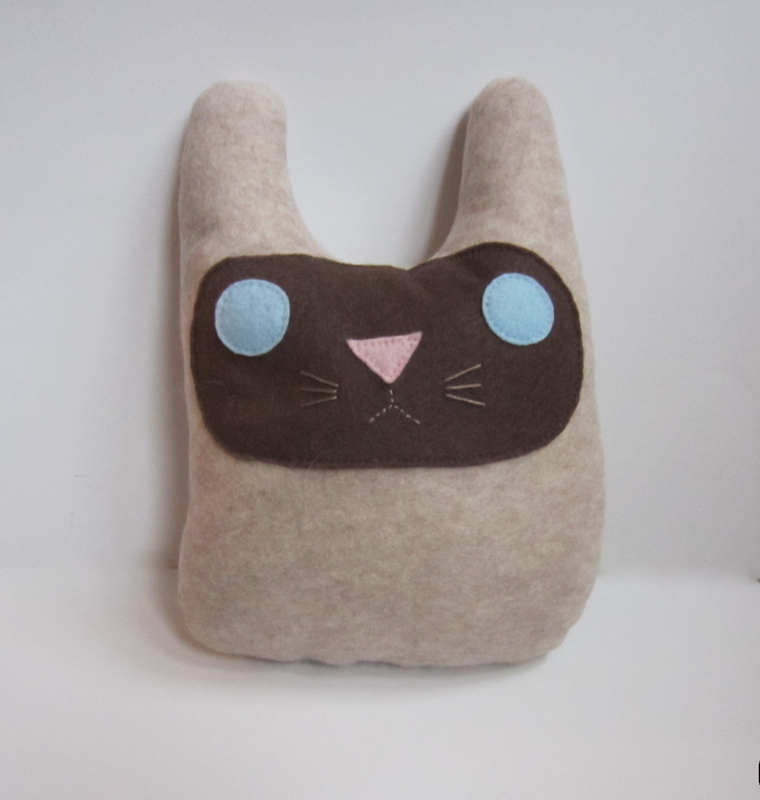 After making two custom orders for Siamese flat cats, I realized that it was time I offered them regularly! So here it is, a flat cat with the signature dark face of a Siamese or Himalayan cat. Perfect for fans and owners of the breed, or you. You like cats, right? The first is a heart-shaped wire bangle adapted from two other tutorials found on Pinterest available here. The second was fixing an old necklace I had. I didn’t like the string it was on but I loved the pendant, so I figured I’d give a walk-through for anyone going through the same thing. It’s here. Working with little jewelry pliers doesn’t have to be intimidating, you can do it! 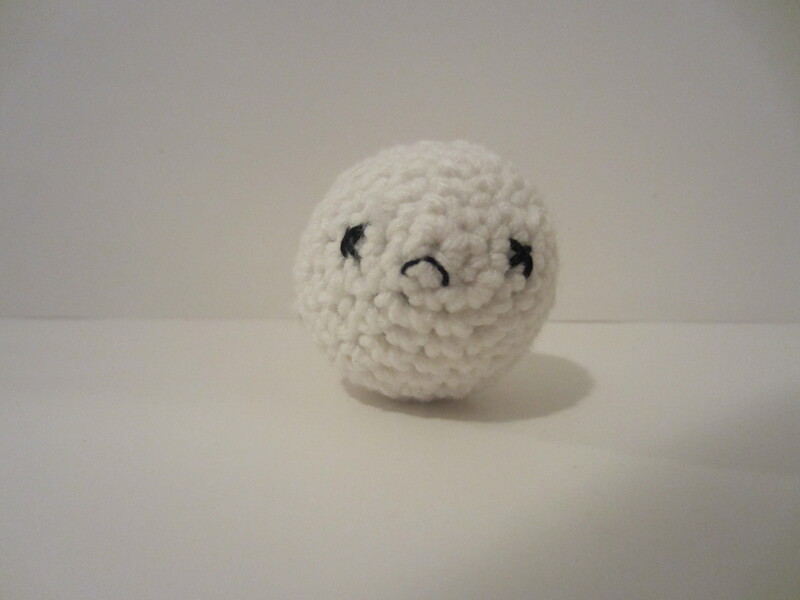 I recently made a really fun custom order and I had to share it: the sad sperm. 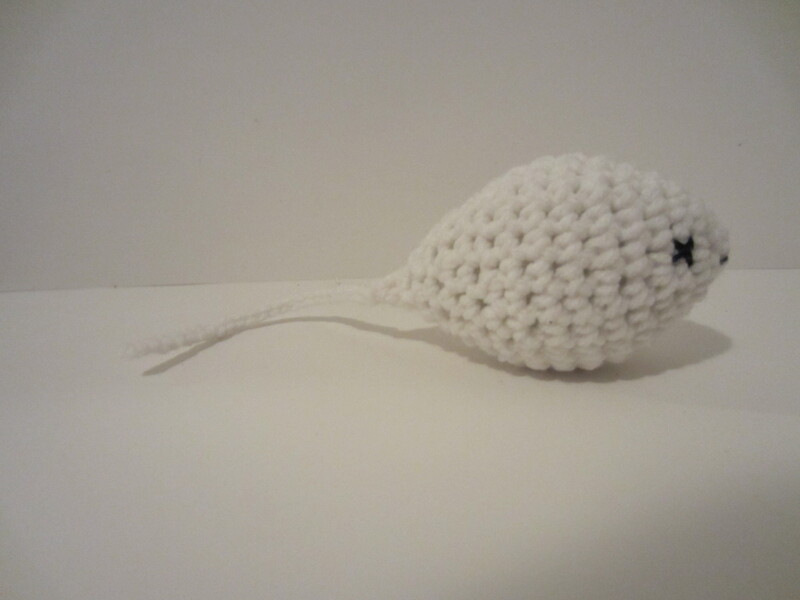 When an Etsy user first asked me to put X’s for eyes and a frowny face on one of my crocheted sperm, I was puzzled but I thought, “Okay, if that’s what she wants…” When my husband found out what I was making, he squished his face and asked, “…but why?” We wondered if maybe she was in the spermicide business. Turns out it was a gift for someone getting a vasectomy. How cute! I don’t know how well the gift went over with the patient, but I hope the operation went well. I’d had my eye on this Etsy Labs tutorial for a one-hour skirt by Brett Bara for a while and I finally did it. I made myself a skirt. Not just any skirt, but a skirt I could see myself wearing OUTSIDE. I’m pretty proud of it. Unfortunately, when I was making this skirt, I couldn’t find the link posted above so I had to find the video for the project. The video is for a child’s skirt, and while it gets the job done for an adult-sized skirt, I think I missed some points brought up in the written version (like where on my waist I should measure. I measured my natural waist, added some inches… see below.) The plus side to the video is that Brett Bara stresses the importance of ironing the seams and holy crap, I didn’t realize how important it was. It’s important. Do it. I used quilting fabric I found at Joann. I haven’t worn it for more than 10 minutes yet, but it seems thick enough to lay right and dark enough to hide whatever color undies I’m rocking. Unfortunately, since it’s cotton quilting fabric, it seems to get wrinkly (again, I haven’t worn it in real life yet, just trying it on.) Looks like it’s going to need another ironing before I wear it for real. -I added a few inches to my waist measurement, just in case. Don’t do that. Keep in mind that you already have enough material to wrap around your waist twice so you don’t need a few extra inches. -It made me look 3 sizes wider when I first tried it on. Turns out the elastic in the waistband was twisted, adding some bulk, but even when I flattened it back out there was still way too much fabric going on. I evened out the gathers, but I still looked really wide. I ended up taking the skirt apart, cutting about 4 inches off of each piece of fabric, and then sewing it back together. It looks much better now. -I wish I added pockets! I’ve never added pockets to anything, but in my mind it seems like a simple task. I don’t want to take this skirt apart again, but if I make another I would definitely add pockets along the side seams. -It took me more than an hour, but I sewed it by hand. I know, I’m insane. Sewing machines have always scared me, my mother’s would jam if I so much as looked at it, plus I don’t sew enough to need one now. That said, it takes more than an hour, but it can be done. 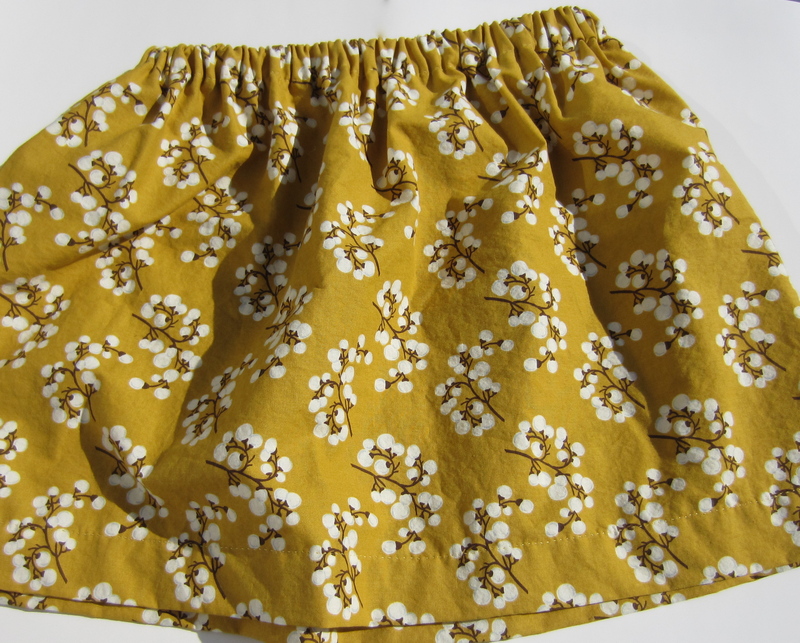 You can hand sew this skirt if you have nothing to do one weekend and you’re incredibly patient. -Iron your seams! It makes it a lot easier, especially if you’re sewing by hand since it acts as a line to follow. Everything lies flat, and as you can see from my second little note, you definitely need it to lay flat or you’re going to look misshapen. The hole in the wall. 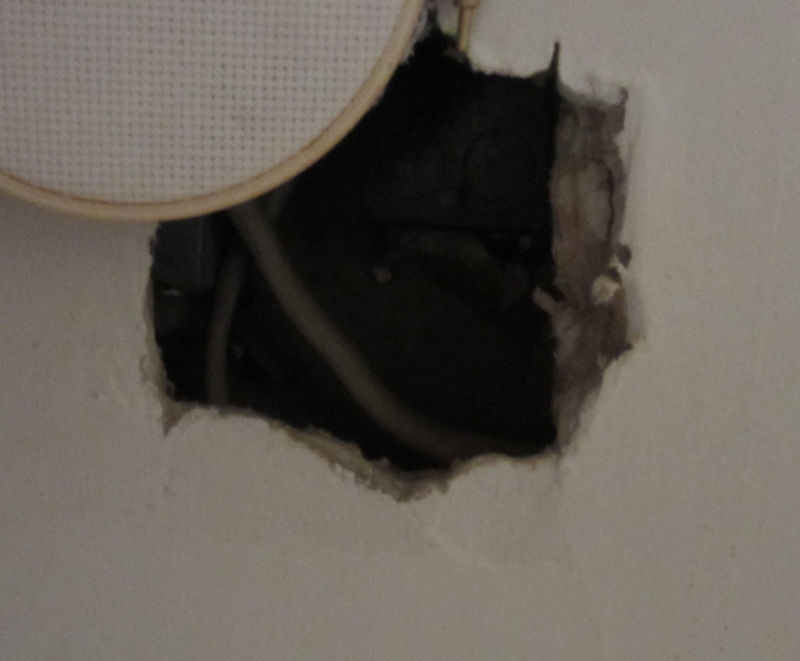 After all of the other patching and spackling and painting my father-in-law helped us do all over the room, we forgot about the little square hole since it was still hidden behind the lacy cross-stitch thing. Being sick of spackling and renovations, we decided to leave it. We though about putting up a poster, but the hole is on this tiny little wall that’s barely wide enough to accommodate a small one. I decided we could take a hint from the previous owners and cover it in cross-stitch, but cute cross stitch! Seeing as this hole is in a man cave, I figured I would pay homage to something the hubs loves as I tried to cross-stitch. Since I’ve never done cross stitch (unless you count threading some gimp/boondoggle through plastic canvas to make a rainbow trinket to hang off of my Girl Guide camp hat) I figured I should start with something simple, perhaps something that already looked boxy and pixelated. Mario! Hubs loves Mario, there’s already a few Nintendo posters gracing the man cave walls, and early Mario was so pixelated he was practically a cross-stitch pattern! 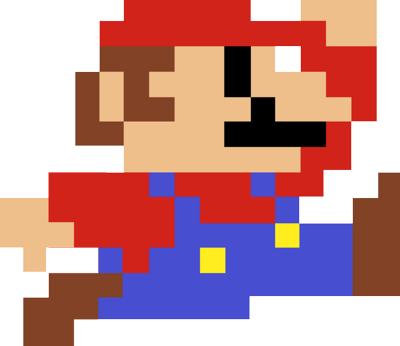 I Googled “pixelated Mario,” found an image, consulted the November 2011 issue of Martha Stewart Living (where they featured a cross-stitch craft,) drew Mario out on graph paper to ensure that I could count the exact amount of squares, and got to work. Turns out I got a higher count of Aida cloth than I should have (both because I’m a beginner and because my design is so simple) so Mario turned out very tiny. It’s ok though, tiny Mario still covers the hole! 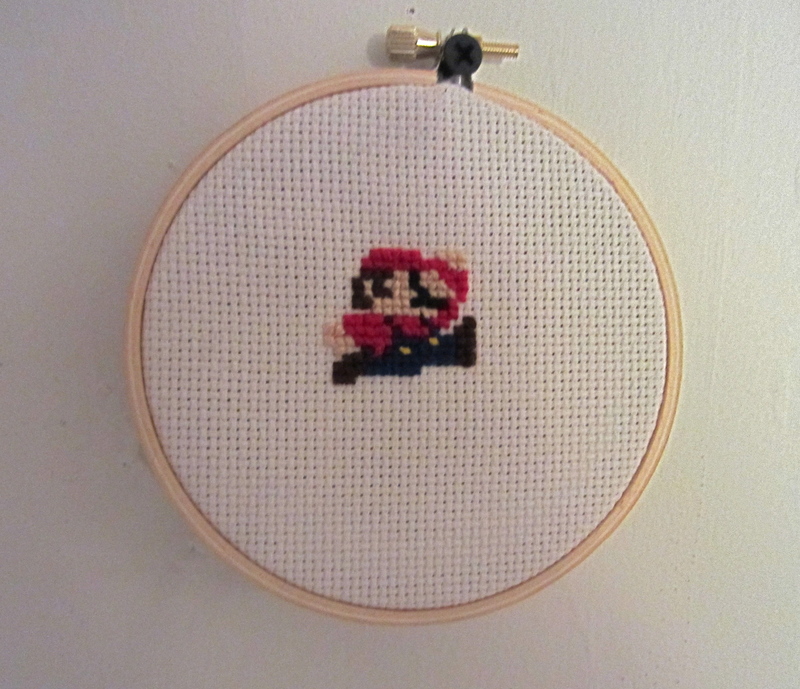 The moral of this story is to not be afraid of cross-stitch, but to plan it out carefully before you start, read up on it as much as you can, and soon you can be making Mario cross stitches too. I’m going to admit it, I don’t find opossums very cute, but this video is warming me up to them. Here’s Ratatouille, the Snowboarding Opossum.